Streamlabs OBS is the most popular streaming app for many streaming platforms, including Twitch, Mixer and YouTube. One of the most common issue users report is when Streamlabs OBS is dropping frames. This may happen due to hardware that doesn’t meet the requirements to run the application. But, usually it’s related to the connection to the server. This might not be stable or your Internet connection can’t keep up with your set bitrate. If you drop too many frames, you may be disconnected from the streaming server. You need a solution to fix the root cause of Streamlabs OBS dropping frames – your Internet connection issues. See how easy it is to enjoy stable Internet with plenty of bandwidth, low latency and low packet loss. Why Does OBS Drop Frames? The only reason you’re seeing OBS dropped frames is the connectivity you have to the streaming platform’s ingest server. Otherwise put, streaming platforms do not drop frames for any other reason than network congestion – read more technical details of what frame drops are here on Github. Finding a solution to network congestion (be it on the part of the server you stream to, or on your side) will solve the OBS dropped frames issues. Change the ingest server you’re streaming to – switching to another server sometimes solves this. Remember: the “closest” or “lowest ping” server isn’t always the most reliable. If you’re live streaming on Twitch, use TwitchTest to find the server you have the best bandwidth to and the maximum bit rate you can stream. It’s recommended to choose a server with a quality score of at least 80 for a stable live streaming experience. Try another streaming service and see if you get the same “dropped frames” issues. If it’s Twitch that gives headaches, try streaming on YouTube; if Streamlabs OBS is still dropping frames, then the culprit is most probably your Internet connection. Still seeing Streamlabs OBS dropping frames? You can fix Streamlabs OBS dropping frames easily in a matter of minutes with Speedify. It fixes network congestion and allows you to live stream online without any hassles. 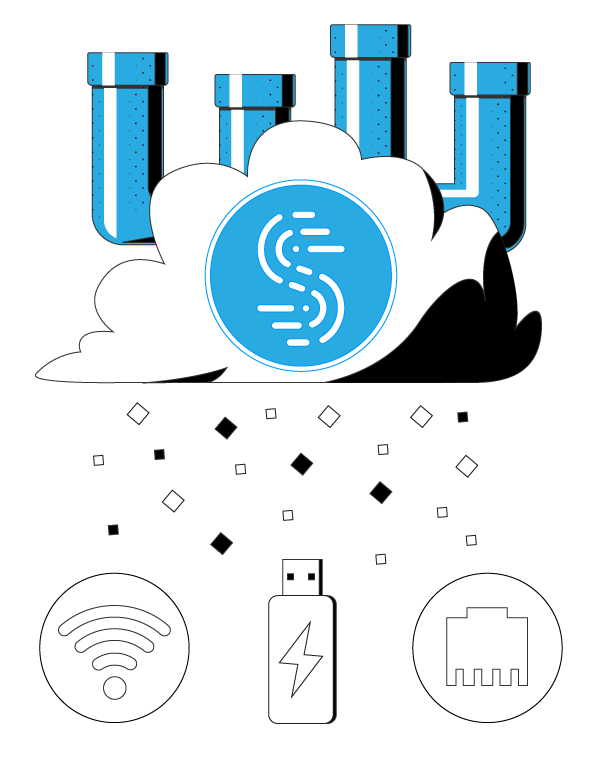 Speedify is a bonding VPN service that allows you to combine multiple Internet connections at the same time into one super pipe for increased bandwidth and reliability. If you’re having bandwidth issues with your Internet connection, you can toss other connections in the mix (public WiFi nearby, cellular, tethered phone, etc.) and combine them with Speedify. If you have high latency (lag) to Twitch, YouTube or Mixer servers, you can select a Speedify server that’s fastest and improve that lag. If you get high packet loss or jitter, Speedify’s fast error correction features (that works even with just one Internet connection!) instantly detects when a network packet has been lost. Then, it resends it before the Internet protocol realizes that, preventing network congestion before it occurs. You will enjoy the combined speed and stability of all your connections. If one of them disappears or disconnects Speedify will instantly and seamlessly shift your streaming to the other working connection(s) without skipping a beat. With a very simple user interface, but powerful capabilities, Speedify can easily be used successfully by streamers. Both occasional ones on Facebook, YouTube, Twitch and also by professional broadcasters such as vloggers, gamers, reporters in the field etc. 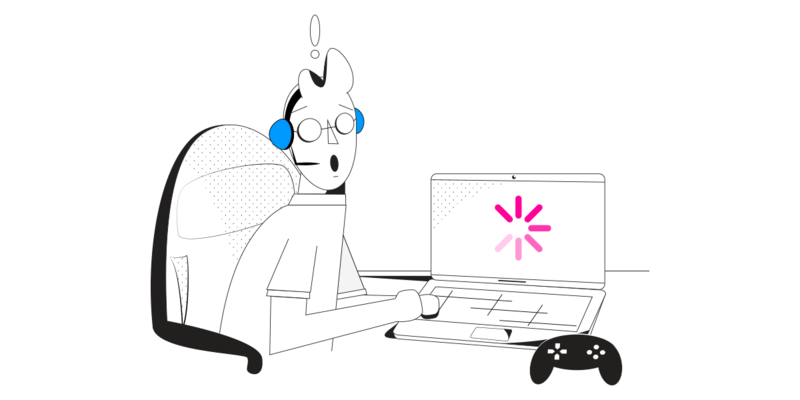 Speedify is perfect when you’ve got access to 2 or more Internet connections while streaming on Twitch, YouTube or Mixer. Combinations include WiFi & Cellular on your smartphone and WiFi & wired Ethernet on your computer. Its bonding VPN core makes the difference and at only $50 per year for a subscription, versus thousands of dollars on dedicated bonding hardware. We believe it’s time to upgrade and complete your live streaming setup with a future-proof tool for fast and reliable Internet!